They just wanted fries and to see some diversity on the posters at McDonald's, but their prank made them $50,000 richer. (CNN) - They just wanted fries and to see some diversity on the posters at McDonald's, but their prank made them $50,000 richer. 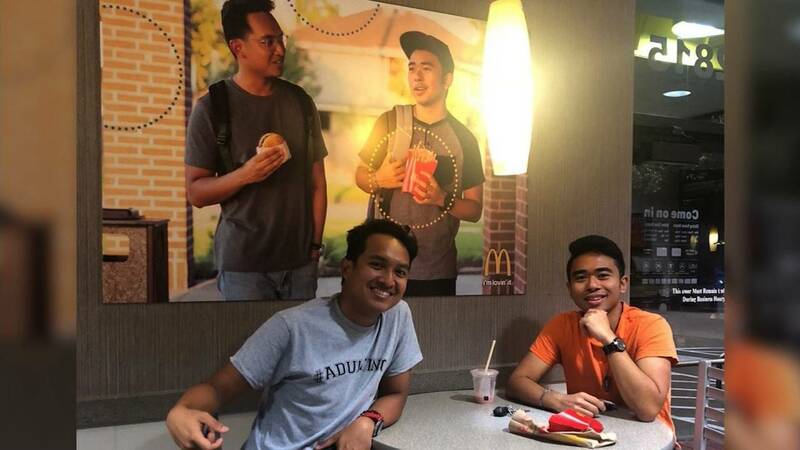 Jevh Maravilla, the college student who faked a promotional poster and hung it up at the fast-food restaurant in Pearland, Texas, along with his friend, Christian Toledo, were invited earlier this week to "The Ellen DeGeneres Show." And of course, Ellen being Ellen, she surprised them with a check for $25,000 each -- courtesy of McDonald's. Inspired by the amount of Asian diversity in the film "Crazy Rich Asians," the two friends spent a month and about $100 to create the poster. "We wanted to be Crazy Middle Class (Asians)," Toledo told DeGeneres. The money is part of an upcoming McDonald's campaign in which both Maravilla and Toledo will be featured, DeGeneres said. "McDonald's loves customers like you. They are committed to diversity and want to represent all their customers, so they are going to use the two of you in a marketing campaign," said DeGeneres. "Since you're in a campaign, they need to pay you, right? So you're each getting a check for $25,000." The two friends couldn't believe their eyes and kept asking DeGeneres whether it was true. CNN has reached out to Maravilla and McDonald's for further comment.